The University of Washington, University of Central Oklahoma and Bates College topped this week’s USRowing/Collegiate Rowing Coaches Association Division I, II and III Weekly Polls presented by Pocock Racing Shells. After moving into first place by a slim margin in the DI polls, Washington has gained more points over second-place University of California, Berkeley. Stanford University and the University of Texas continue to sit in third and fourth, respectively, while the University of Michigan improved to fifth. Central Oklahoma has shown consistency, receiving the same number of votes as last week and topping the DII polls. Florida Institute of Technology and the University of California, San Diego remain in second and third place, respectively. Seattle Pacific University and Western Washington University round out the top five. Bates College continues to dominate DIII, holding onto their first-place rankings and all first-place votes. WPI and Williams College have swapped their second and third-place rankings. Ithaca College maintained its fourth-place ranking, while Smith College has moved back into the top five. Others Receiving Votes: University of Oklahoma (50), University of Minnesota (47), University of California, Los Angeles (36), Michigan State University (34), Washington State University (9), University of Louisville (6), University of Central Florida (6), University of Pennsylvania (2). Others Receiving Votes: Jefferson University (21), Embry Riddle Aeronautical University (10), Rollins College (4). Other Receiving Votes: Washington College (8), Colby College (6), US Coast Guard Academy (3). Cornell University’s lightweight men’s varsity eight and Stanford University’s lightweight women’s varsity eight earned the No. 1 spots in the second week of the 2019 Intercollegiate Rowing Association/USRowing Collegiate Polls. Additionally, the first week of the regular season poll heavyweight poll saw Yale University taking the top spot in the varsity eight and overall team ranking, while University of Washington took the top seed in the second and third varsity eight. The Cornell Bid Red earned seven first-place votes to move into the top position in the lightweight men’s poll. Princeton University fell to the second position, earning the remaining five first-place votes. Rising from their fifth-place tie, the University of Pennsylvania took the third position, edging out fourth-place Harvard University. Dropping one rank from last week, the Yale lightweight varsity eight rounds out the top five. 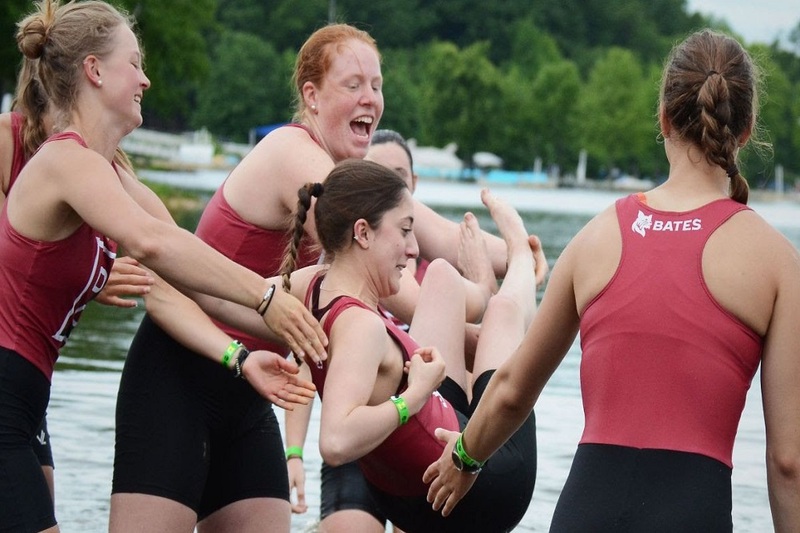 Stanford University remained the unanimous choice for the top position in the lightweight women’s poll, earning all seven first-place votes. Boston University ranked second, followed by Princeton University in third. Harvard-Radcliffe and Georgetown University maintained their positions as well from last week, ranking fourth and fifth, respectively. Coming off winning the Copley Cup at the San Diego Crew Classic, the Yale University heavyweight men’s varsity eight was a unanimous decision for the top ranking in the first regular season heavyweight Intercollegiate Rowing Association/USRowing Collegiate Polls of the year. The University of Washington followed the Bulldogs in second place, in front of Harvard University in third, University of California, Berkeley in fourth and Brown University in fifth. New for 2019, the Intercollegiate Rowing Association/USRowing Collegiate Polls are also featuring rankings for the second and third varsity eights. The second varsity eight saw the University of Washington Huskies take six first-place votes, casting them in first position, while the Yale Bulldogs ranked second with the remaining five first-place votes. The University of California, Berkeley, Harvard University and Northeastern University took the third, fourth and fifth rankings, respectively in the second varsity eight. Earning nine first-place votes, the Huskies also took the top spot in the third varsity eight poll. Yale and Harvard Universities each earned one first place vote, ranking second and third, respectively. The University of California, Berkeley and Princeton University round out the top five. In addition to the new second and third varsity eights rankings, an overall “James Ten Eyck Trophy” points standing has been introduced for 2019. Points for the Ten Eyck Trophy are determined by taking the totals from each event (varsity, second varsity, third varsity) and multiplying them by their weighting in the Ten Eyck Formula (5x for varsity, 4x for second varsity, 3x for third varsity). Points are then added up and totals divided by 10. Yale University carries the most points in the week one Ten Eyck Trophy standings, followed by the University of Washington in second, Harvard University in third, University of California, Berkeley in fourth and Brown University in fifth. Voting Coaches: Shawn Bagnell (Navy), Billy Boyce (Harvard), Marty Crotty (Princeton), Colin Farrell (Pennsylvania), Dave Patterson (Fairfield), Chris Kerber (Cornell), Sean McKenna (Temple), Will Oliver (MIT), Nich Parker, (Columbia), Dan Roock (Dartmouth), Lee Rumpf (Georgetown), Adrian Spracklen (Mercyhurst).